As Paul Menard and the No. 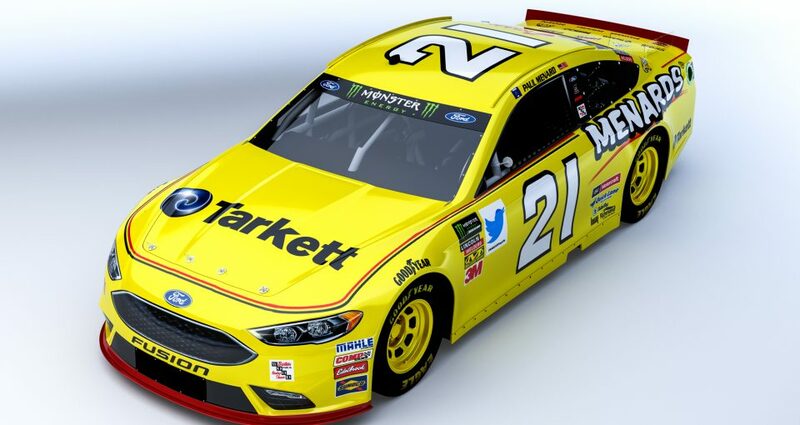 21 Menard/Tarkett team head into the homestretch of their first season together, the veteran driver likes the direction his team is heading. Menard and the No. 21 team scored back-to-back top-10 finishes at Indianapolis and Las Vegas, then had a fast car but bad luck at Richmond, a track that hasn’t been among the best in the past for Menard or the Wood Brothers. On Sunday, they ran up front and led laps on the Roval at Charlotte before being swept up in a late-race, multi-car crash. Along the way, Menard and the team have tested at Kansas Speedway and ISM Raceway in Phoenix in preparation for upcoming races at those tracks. “The last month or so has been pretty decent for us,” Menard said. “Things have been clicking better. “The races have been on different kinds of race tracks, and we’ve had good speed in a lot of places. Next up for Menard and the team is Sunday’s Gander Outdoors 400 at Dover International Speedway. Menard and the No. 21 team showed good speed in practice at Dover in May, but a problem with a hub led to an extended stay in the garage for repairs and a poor finish. Qualifying for the Gander Outdoors 400 is set for Friday at 3:40 p.m. Eastern Time, and the race is scheduled to start just after 2 p.m. on Sunday with TV coverage for the race on NBCSN.